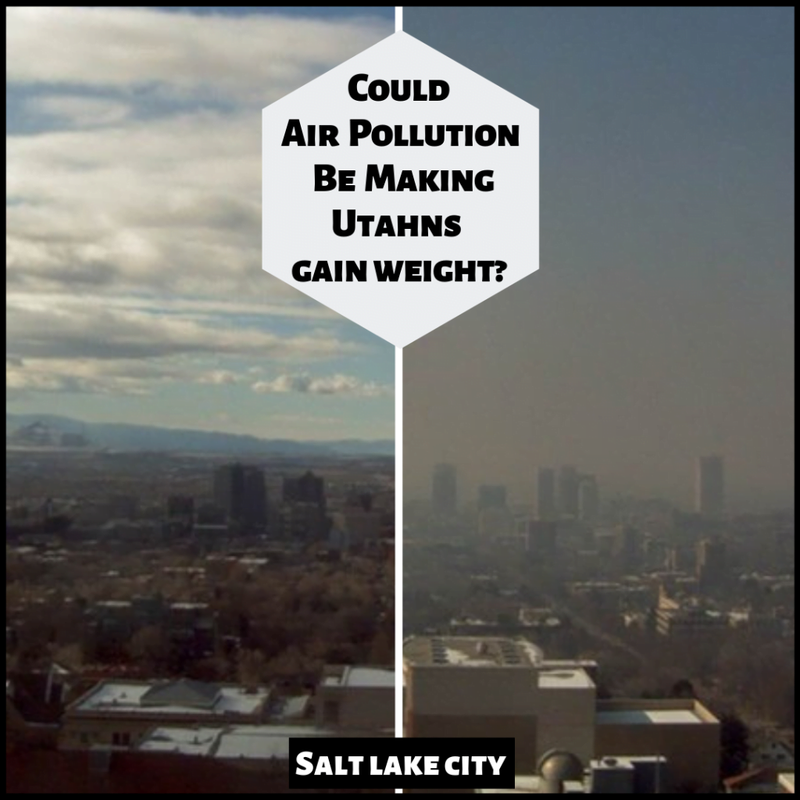 Everyone knows that Utah’s air pollution is bad for your health… but did you know that a new study from USC says that the inversion could be causing Utahns to make poor diet choices? Check out the visual effect of inversion here in Utah! On the left side, we’ve got low levels of air pollutants and only 3 weeks later on the right we’ve got high levels of air pollution during a nasty inversion. So the sky looks bad, how could that make me fat? A new study by the University of Southern California suggests that pollution may be linked to unhealthy diet choices. The study found that exposure to pollution during childhood makes adolescents 34% more likely to eat unhealthy food— regardless of household income, parent education level or proximity to fast-food restaurants. The exact link to obesity and air pollution isn’t known, but the going hypothesis is that oxidative stress and inflammation may be to blame. More studies are in the works and we can’t wait to see what they’ll discover! While pollution may be partly to blame for Utah’s obesity problem, there are many things that can be done to get healthy, slim and trim. Check out our tips and tricks for losing weight and staying healthy.